Vered’s deep commitment to the craft of coaching is evident. Her right and left brain are integrated. She’s analytical and logical and also relationship oriented and value driven. Her commitment to hold true to the coaching models has helped me move out of stuck. I was referred by a good friend to consider a career coach while looking for a new job. This was the best investment I could have made to achieve a successful career transition. The techniques and knowledge that Vered provided were invaluable in making the experience produce the most optimal outcome. Vered guided me through ‘breakthrough’ exercises that helped me push through negative beliefs that were limiting my career potential. Her guidance and encouragement has led me to find the opportunity that I have before me today. Vered brings intelligence, good humor, and calm to the stressful process of career transitioning. She has a unique ability to help others discover their true strengths and personal path to career happiness. Vered is a highly gifted professional coach. She listens skillfully, asks very insightful questions, and helps me access ideas and thoughts I either didn’t recognize or avoided for years. I highly recommend her as a great coach with both heart and head that helps clients achieve their goals. Vered’s coaching is beyond words. But here are a few that will help me to describe my experience: Transformational, Exceptional, Empowering, Friendly, Delightful, Comforting. Vered’s kind, thoughtful, non-judgmental approach is just what I needed. Vered is an invaluable resource to any career transition. I was continually impressed by her insights, suggestions, and her genuine interest in making sure that I was successful in reaching the goals that I had set. 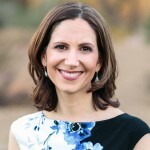 Her style as a coach is unique as she is both a great listener but is not afraid to push the client to think outside of their comfort zone. I felt reassured with the coaching process when I quickly saw the high level of preparation that Vered put into each session. The experience as a whole was rewarding from both career and personal development perspectives. I never believed in career coaching, but Vered changed my view. In my darkest hours, Vered challenged me to think smart instead of falling into the emotional traps. She has a great perspective and was quick to pull me back on track. She went through the high and low points of my job search journey and always kept me in check. I could not land another senior level job in less than 3 months without her kind and professional support. Vered is a gifted coach. Her process for helping me identify what I wanted out of my career and future was enlightening, to say the least. She asked the tough questions and really made me think about what was important to me. I was able to transition to a completely different and new career with confidence and intention. Her knowledge and coaching style was instrumental in that process. I “easily” landed the perfect position and I know working with Vered made that possible. Although Vered is best known for successfully helping individuals identify and get hired for the perfect job, she is also highly skilled in supporting those of us who are transitioning into retirement. Vered helped me navigate the process with an amazing amount of compassion and patience. Vered provided highly skilled, thoughtful and objective insights to help me work through crossroad I had reached in my career. She was attentive at every step of the way and empowered me to do some deep reflection on life and career choices. At the time we started our coaching sessions, I was working at a job that was highly stressful and provided me with little to no satisfaction at the end of the day. Working with Vered was an integral component to me finding a new position and approaching the job search and interview process in a more productive manner. Vered is a great coach and coach mentor. She had a pivotal role in strengthening my coaching competences for getting the ICF credential. Vered is a master in crafting a growth space for the client in each and every coaching session. She is a trusted partner for professional and personal development.